Seattle University School of Law – J.D. Elisha joined Heller Wiegenstein PLLC in 2000 and primarily works in the firm’s insurance defense litigation practice. 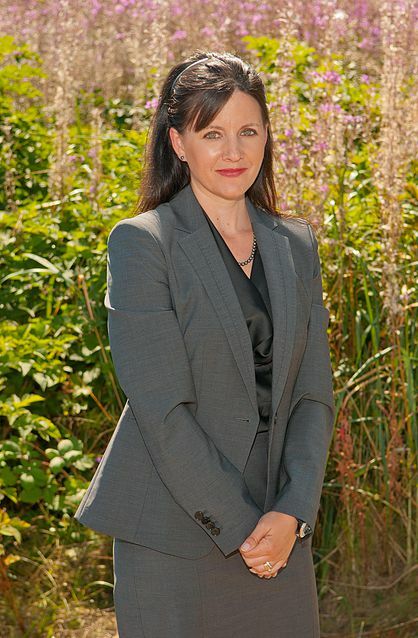 She is a member of the Washington Defense Trial Lawyers Association and the Kitsap Bar Association, and provides some pro bono legal services. Elisha has successfully handled litigation at the trial and appellate court levels, in state and federal court, and at arbitration, in a variety of cases. These include personal injury and premises liability, dogbites, boundary disputes, construction defect claims, land use disputes, veterinary claims, and HOA and condominium owner disagreements. Elisha earned a double major in English and Spanish at the University of Puget Sound, and studied abroad during college. She worked her way through law school at night while working days as a legal assistant/clerk to the Seattle Assistant Chief Counsel of the U.S. Customs Service, which provided legal advice and services to Customs offices and personnel in Washington, Oregon, Alaska, Idaho, and Montana. After graduating from law school, Elisha clerked for the Honorable Leonard W. Kruse and the Honorable William J. Kamps of the Kitsap County Superior Court. At the Court, Elisha’s responsibilities included conducting legal research, writing legal memoranda and memorandum opinions for the judges, and managing administrative matters related to the judges’ dockets. A Seattle native, Elisha relocated after law school to Kitsap County, along with her husband’s construction company. She and her family continue to reside in Kitsap County. Elisha enjoys paddle boarding, jogging, volunteering locally, and attending her kids’ various sports events.